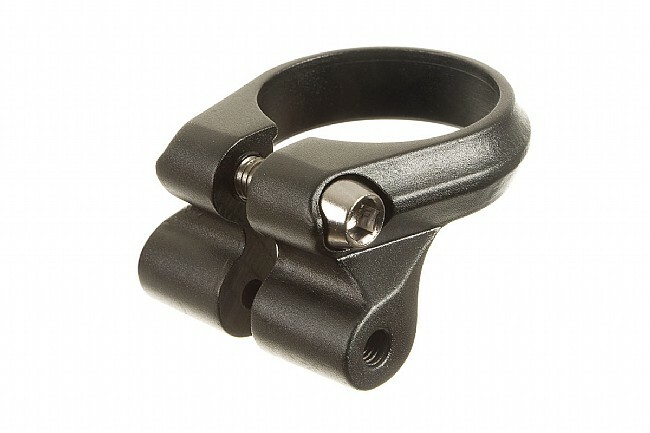 Problem Solver's smartly designed sleeve style Seatpost Clamp includes rack mount threads for cleaner rack installation on frames without seat stay eyelets. Available in 31.8mm and 34.9mm sizes (seat tube outer diameter). I used this to mount a rear rack to my cross bike for a recent tour down the Oregon coast. I never had a single problem with my rear rack. The company name Problem Solvers really does say everything you need to know.